Amy Beach's lilting Romance and liquid Invocation are affecting miniatures played here with exquisite care. 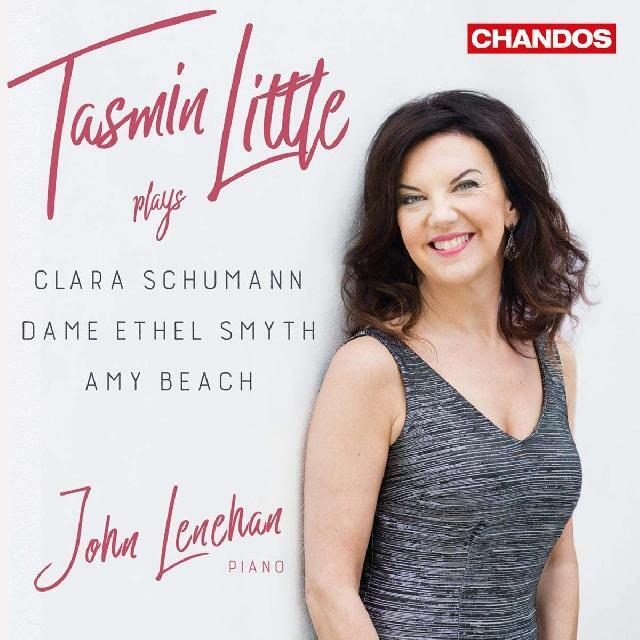 The music of Amy Beach frames this beautifully played recital by the seamlessly integrated, expressively fluid partnership of Tasmin Little and John Lenehan. The four-movement Sonata is somewhat dolorous and wistful in its ruminative opening and melting Largo, the delightfully skittish Scherzo giving way momentarily to melancholy, the finale ripe and spirited. The lilting Romance and liquid Invocation are affecting miniatures played here with exquisite care. Clara Schumann’s Op 22 Three Romances receive the same attention to detail and tone, even if the dedicated advocacy fails to raise them above lightly woven prettiness and charm. Ethel Smyth’s substantial A minor Sonata shares a similar romantic attitude to Beach’s but its language is more precise and purposeful. Little makes much of its sinuous violin line, Lenehan adroitly alert and alive to the piano’s deft shifting between support and commentary. News that Little is to retire from performing and recording makes one lament there will be no more discs as fine as this from her.